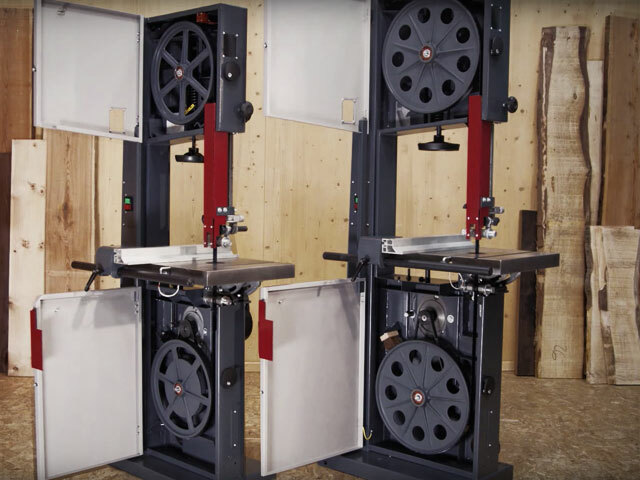 Are you looking for a bandsaw that is flexible and has all the important features? Then the N4400 is the right choice for you! Big on Performance. Easy on the Budget. Standard features include saw-blade guides both above and below the table, saw blade tension indicator, tilting machine table and many others – a comprehensive package at a great price! Ceramic guides guarantee excellent cutting results and maximum blade stability through four guide blocks and ceramic rear rollers directly adjacent to the blade. The flat surface ensures reduced noise emissions and considerably less friction resistance. 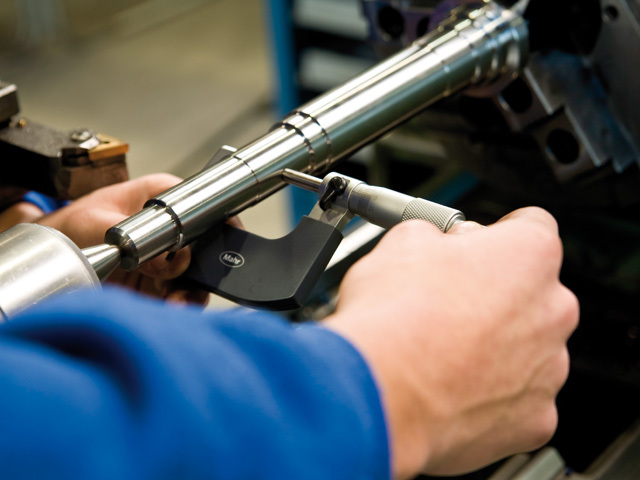 With reduced friction and less heat generation, ceramic guides are practically wear-resistant and enable an extremely long usable life and consistent cutting quality when compared to conventional roller guides. X-Life® ceramic bandsaw blade guides have been developed exclusively for Hammer and Felder bandsaws and can be retrofitted as an accessory at any time. 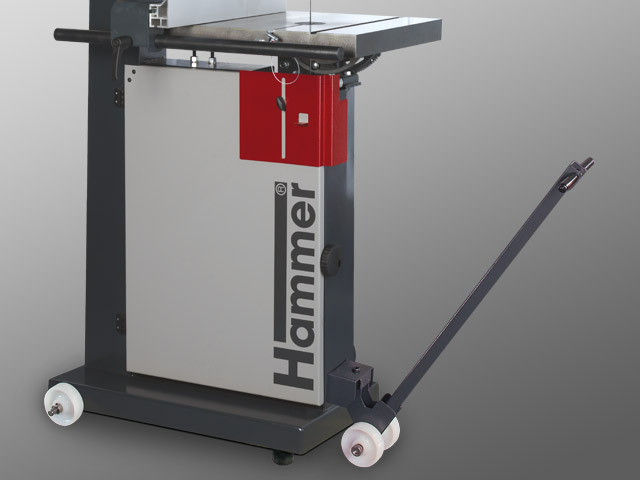 Hammer bandsaws are equipped with above and below table guides with fine adjustable side and rear rollers. The cutting height required can be set simply using a gear rack. With a 310 mm cutting height the Hammer convinces in its class and enables the production of solid wood veneers and much more. The solid cast iron table tilts from –5° to +45° extending the scope of use to cover a wide range of processing situations. The exact 90° position of the table is guaranteed by a fine adjustable stop. The tilt of the table can be set using the scale adjustment accurate to one degree. Processing long and heavy workpieces without assistance - no problem with a Hammer! The Hammer table extension system has proven itself thousandfold, the world over. In just a few steps and without tools the table extensions can be mounted to every Hammer machine. 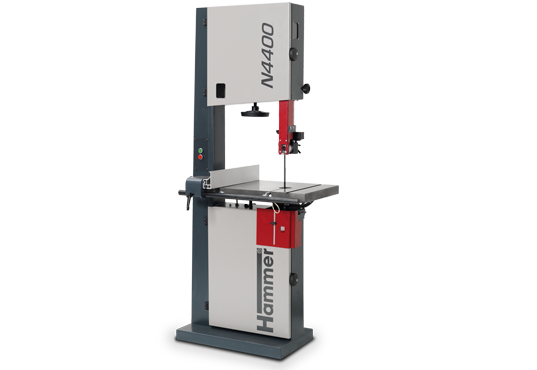 The support surfaces of your N4400 can be extended to the right and the rear of the bandsaw blade by 500 or 1000mm, depending on the table extension chosen. Guided precisely along the round bar, the fence can be positioned or swung away on either the left- or right-hand side of the saw blade. The aluminium fence is mounted to the cast iron housing of the parallel fence and can be positioned along the cutting direction for improved infeeding of longer workpieces. For the processing of narrow workpieces the aluminium fence can be laid flat from the normal vertical position. The mitre fence for the bandsaw is available as an accessory and can be slid into the groove on the cast iron table in the cutting direction. The mitre fence can be adjusted to any position between –45° and +45° for crosscut and mitre cuts. The large distance between the bandsaw flywheel cast axles makes it possible to use longer bandsaw blades. This is an advantage for you, a large bandsaw blade length is indispensable for a quiet and smooth movement of the blade and the large number of teeth ensures a longer usable life. 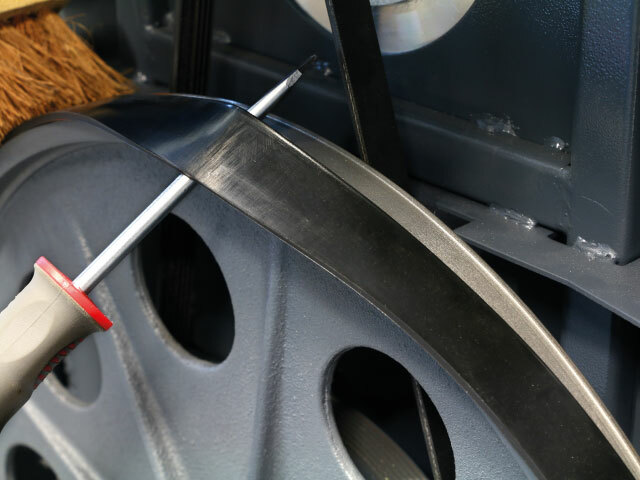 The rubber cover on the flywheels protects the bandsaw blade and the teeth. Over time, depending on the number of working hours, the rubber cover will begin to wear out and will have to be replaced. Normally the flywheels have to be removed and sent away to be recovered, but that is not the case with Hammer bandsaws: You can change the rubber cover quickly and easily by yourself - that is just one of the many advantages of deciding on a Hammer! The bandsaw blade can be changed quickly and with ease in just a few steps. The bandsaw blade tensioning display makes it easy to set the right tension using the handwheel. 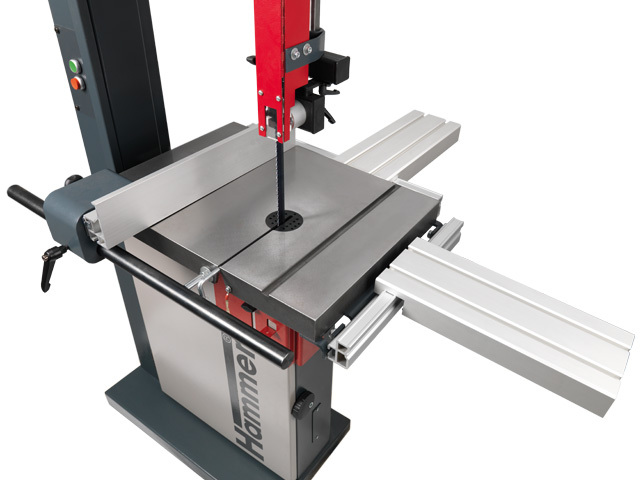 Another example of the uncompromising operator comfort offered by your Hammer bandsaw. Regardless of whether you decide for the 1x 230 V or the 3x 400 V Hammer bandsaw - your Hammer will be equipped with ATB motors from Austria, specially developed for bandsaws. The high-torque and extreme running smoothness of the motor are key to the high precision of your bandsaw. The HAMMER Rolling Carriages facilitate the positioning of your Hammer without complications. The rolling carriage is easily fitted to your Hammer and is completed by adding a lifting bar.